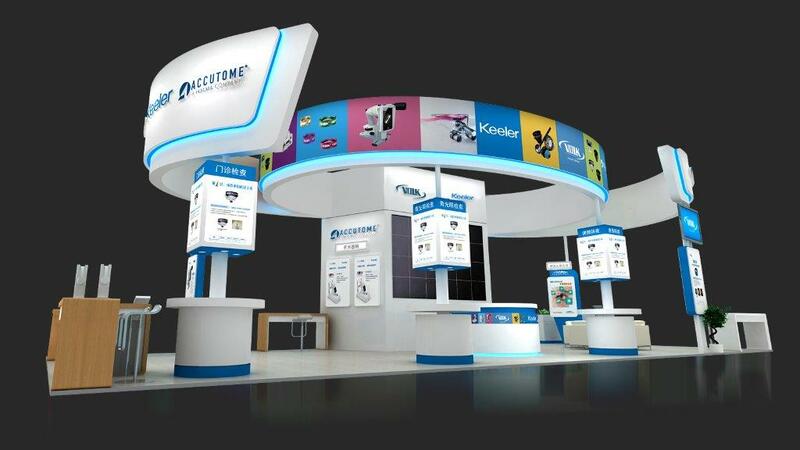 Accutome, Volk and Keeler have combined booth space for the upcoming APAO 2015 show. APAO is the 30th Asia-Pacific Academy of Ophthalmology Congress held in conjunction with the 20th Congress of the Chinese Ophthalmological Society in Guangzhou, China, from April 1 – 4, 2015. The 30th APAO Congress will be held in Guangzhou Baiyun International Convention Center, which is located at the foot of Baiyun Mountain. To find out more information about APAO please click here. Pictured above is a rendering of the combined Accutome, Volk, and Keeler booth.